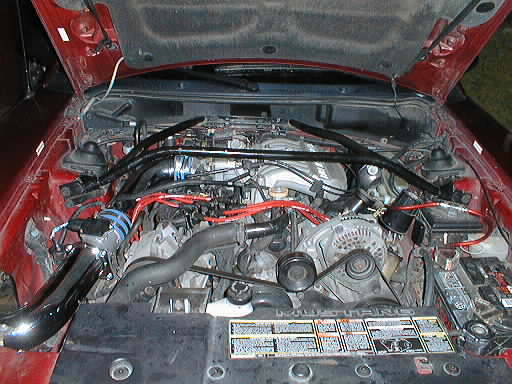 1996 Mustang Cobra tail and mid pipes. Ported and polished heads with 3 angle competition valve job. Tinted Windows - soon to be retinted. The tint on there is getting old. For pictures of my of my car, click on the pictures link on the navigation bar to the left.